the ‘hot spots’, when it comes to the Palace Weddings. Palace Wedding is popular with the Indians as well as the foreigners. 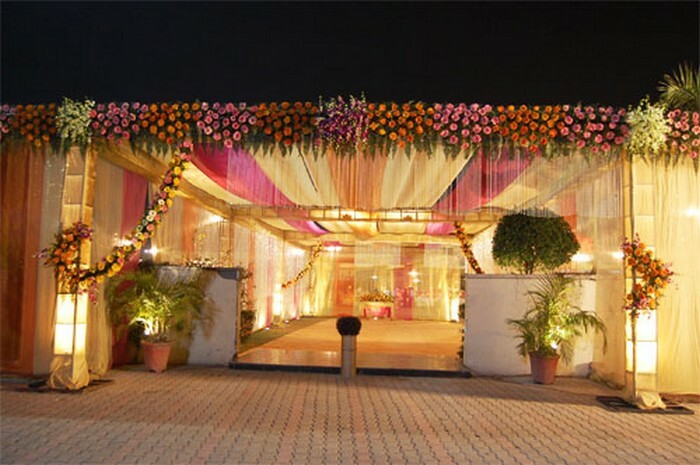 We are here to guide you through the procedure of arranging a palace wedding. The Palaces in Rajasthan are architectural marvels and were built centuries ago. These splendid structures stand strong even today. They are ideally located in charming and scenic settings. Not only this, the palaces exhibit a magnificent charm. The Palaces are surrounded by gardens and fountains which add to the scenic beauty of the place. Some of the venues that you can choose from for a Palace Wedding in Rajasthan include Rambagh Palace, Samode Haveli, Jai Mahal Palace and the Rajvilas Palace, Taj Lake Palace, Jagat Niwas Palace, Oberoi Udaivilas, Shiv Niwas Palace, and the Fateh Prakash Palace amongst many others. The arrangements for a Palace Wedding will be taken care right from the ceremony and the rituals, to the dining services- all would be looked after as per your requirements. The arrangements are made in the best possible way, so as to make the day a special one for both the couple and the guests. The guests are treated royally and arrangements for their accommodations are also made in the palace itself. There are several facilities that are offered to ensure that the wedding ceremony and the rituals are conducted smoothly. Apart from this, arrangements for post wedding ceremonies and the honeymoon can also be made quite easily.